The latest major release of PHP version 7.0 has been released with lots of speed optimizations and security. So you should try this version for your development. 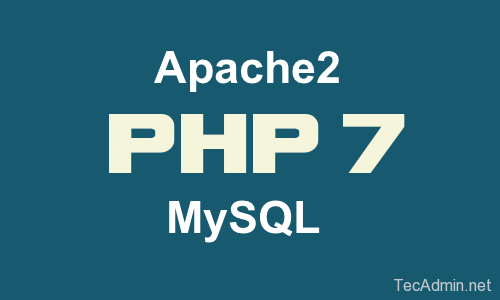 This tutorial will help you to install PHP 7.0, Apache >= 2.4.17, & MySQL 5.6 on Ubuntu 15.10, 15.04 & 14.04 LTS release. To setup LAMP stack on Ubuntu 16.04 LTS, visit our new tutorial below. After successful installation, let’s begin installing Apache 2.4. Use the following set of commands to install Apache2 on your Ubuntu system available in default apt repositories. Use the following commands to install or upgrade MySQL 5.6 on your Ubuntu systems. At the last update of this tutorial MySQL, 5.6.27 is latest available MySQL version series of MySQL 5.6.X. You may also need to install modules like PHP7-MySQL, libapache2-mod-php7.0 etc based on your application requirements. Use the following command to find our available php 7 modules. Above command will list all available PHP7 modules for installation, Let’s begin installation of modules. Finally verify installation of PHP7 with Apache2. 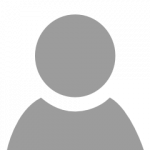 Let’s create a file info.php on website document root using following content. Now browse this file in web browser. It will so all the details about versions and installation. To install the latest version of PHP, use “php-fpm” instead of “php7.0-fpm”. I followed the instructions, and while running info.php (with the phpinfo command) from the shell gave a version number of 7.0.11, accessing this file from the browser displayed php 5.x. After running these commands, apache uses php7, as shown by accesing test.php from the browser. I try to insttall php7 using above mentioned command and i automatically end up installing apache2 from offical ubuntu repo. Should i install apache2 before php? Correct me if I’m wrong on this but shouldn’t the prompt be # and not $? `#` is an indication that the user is “root”, otherwise it will display `$`. That’s also the reason why this tutorial is using `sudo` because the commands needs admin privileges. you can download the file from phpmyadmin.net and uncompress that. the non-oracle fork of MySQL. Thanks for your tutorial but tell me it is possible to run in VMWare workstation. Thank you! This is the first site that clued me in to the need to install libapache2-mod-php7.0… without that, Apache was either giving an error (because the old PHP5 mod was still enabled) or it was just displaying PHP files as plain text. Once I installed that, everything was finally working! That doesn’t work for me, still plaintext. Can anyone help!? Great tutorial, thank you very much! It worked right away!